New. 1935179306 BRAND NEW, GIFT QUALITY! NOT OVERSTOCKS OR MARKED UP REMAINDERS! DIRECT FROM THE PUBLISHER! |0.5. 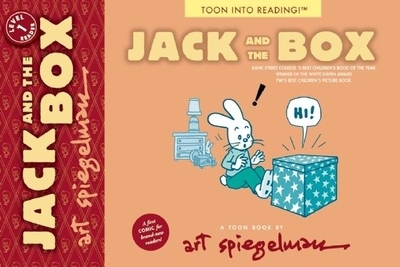 Spiegelman, Art. New. Trade paperback (US). Glued binding. 32 p. Contains: Illustrations, color. Toon Into Reading! : Level 1. Intended for a juvenile audience. In Stock. 100% Money Back Guarantee. Brand New, Perfect Condition, allow 4-14 business days for standard shipping. To Alaska, Hawaii, U.S. protectorate, P.O. box, and APO/FPO addresses allow 4-28 business days for Standard shipping. No expedited shipping. All orders placed with expedited shipping will be cancelled. Over 3, 000, 000 happy customers. Spiegelman, Art. Fine. Trade paperback (US). Glued binding. 32 p. Contains: Illustrations, color. Toon Into Reading! : Level 1. Intended for a juvenile audience. In Stock. 100% Money Back Guarantee. Brand New, Perfect Condition, allow 4-14 business days for standard shipping. To Alaska, Hawaii, U.S. protectorate, P.O. box, and APO/FPO addresses allow 4-28 business days for Standard shipping. No expedited shipping. All orders placed with expedited shipping will be cancelled. Over 3, 000, 000 happy customers. Spiegelman, Art. New. Trade paperback (US). Glued binding. 32 p. Contains: Illustrations, color. Toon Into Reading! : Level 1. Intended for a juvenile audience.